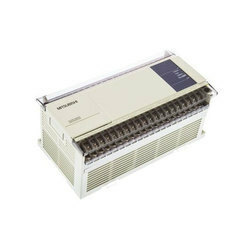 Offering you a complete choice of products which include mitsubishi plc -fx3u-32mt/ess, mitsubishi plc ( fx3g-60mr/mt ), mitsubishi plc (fx3ge24mr/es), mitsubishi plc (fx-3s 30mr/es), mitsubishi plc (fx1n-60mr-es/ul) and mitsubishi plc (fx3u-64mr-es). Expansion Boards and Special Adapters to add functionality. • Built-in USB port for the programming communication function to enable high-speed communication at 12Mbps. • Two built-in variable analog potentiometers available for adjusting the timer set time. All in one CPU, power supply and I/O. Can use all the same expansion options as FX3G. 32,000 steps of built-in program memory. EEPROM memory cassette with loader function is available. 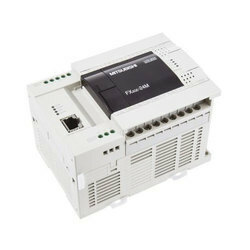 The FX3S is the fit-and-forget PLC solution for space and cost conscious applications requiring up to 30 I/O. 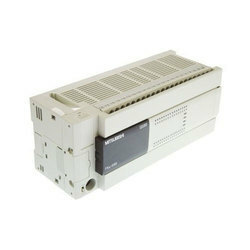 This minimum-expandability, battery-less maintenance free controller is perfect for handling straightforward processes and can be hidden away in locations without regular maintenance activities. 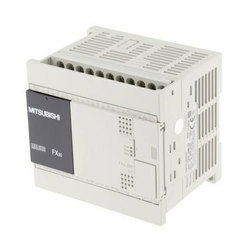 The FX family of PLC's has a proven development lineage spanning more than 10 years. 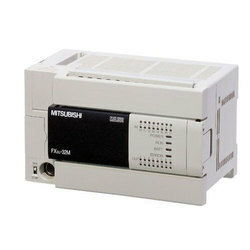 The three current models, the FX1S, the FX1N and the FX2N, offer a range of processing speeds, number of applied (complex) instructions and options from 10 I/O up to 256 I/O.See the following ranges for suitable digital, analogue and communication expansion modules and programming software. 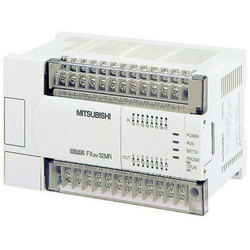 Relay outputs rated 240Vac or 30Vdc, up to 2A per point max. Transistor outputs rated 5V to 30Vdc, up to 0.5A per point max. 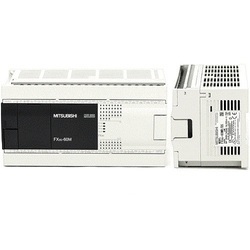 Looking for Mitsubishi PLC ?